When data sources are integrated into a single global system, inconsistencies wrt global integrity constraints are likely to occur. In this paper, the notion of consistent answer to a global query in the context of the local-as-view approach to data integration is characterized. 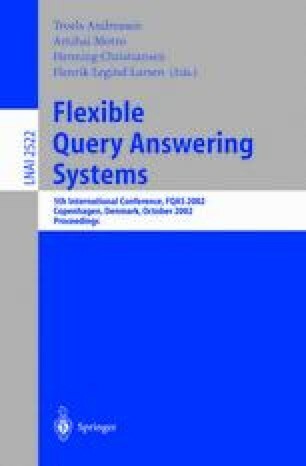 Furthermore, a methodology for generating query plans for retrieving consistent answers to global queries is introduced. For this purpose, an extension of the inverse-rules algorithm for derivingquery plans for answeringfirstorder queries is presented.